When choosing top water lures for smallmouth bass, a stream angler surely has a lot of choices in all price ranges. I'm here to give you some information on why the Lucky Craft Sammy series is worth a good, long look. Lucky Craft is a Japanese lure company that produces some of the most amazingly innovative, well tested, high quality fishing lures on the market today. That quality comes at a price. A typical Lucky Craft Sammy 100 runs $14.99-$16.99 US. I do prefer the Sammy 100 over the smaller Sammy 65 and 85 for all around fishing and ease of walking the dog as well as the superior numbers of 17"+ brown bass it produces. 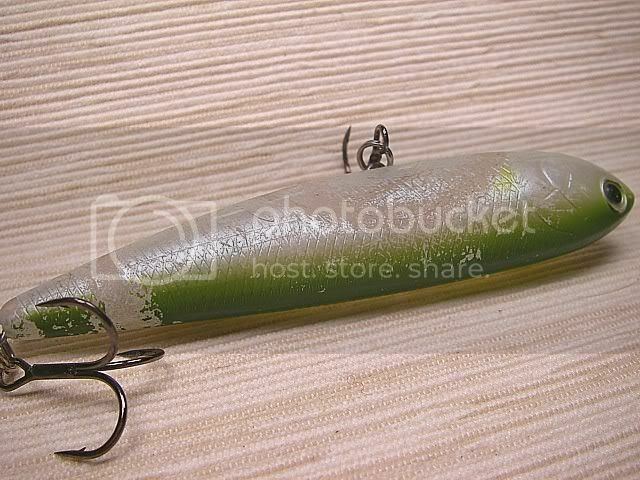 Sammy 100 weighs in at 1/2 an ounce, 4" in length, and sports twin size 4 treble hooks. Lucky Craft produces over 47 different colors ranging from crystal clear to lava lamp. You can match your hatch, go for something shiny, or pick a lure more visible to you on the water. All have subtle advantages- metallics seem to get more instant surface hits on sunny days. Sammy bloops and spits like a popper with subtle glass rattles. It slashes side to side like a snake, enticing vicious strikes. Sammy's weight transfer system allows for ultra long casts. Walking the Dog- too Difficult? Many anglers are turned off by "Walk the Dog" hard baits, because of the perceived difficulty of the act. However, with Sammy 100's, walking the dog is easy! An average fisherman can get the hang of it in a few minutes, though efficiency in hooking bass may take practice. Simply cast out the lure, with slack line and rod held low, twitch your wrist about an inch. The bait will glide in one direction. After each twitch or pump, moving the rod tip towards the bait will keep line slightly bowed. Basically, you are reeling in the slack as you go, creating more slack with the forward rod movement. This causes Sammy to move back and forth in a wide gliding motion like a swimming snake. Keep in mind a 'tic-tock' as the lure bounces back and forth. Then practice speeding up and slowing down the tick tock to draw strikes. Experiment until you find what works each day. Beware, this kind of fishing is highly entertaining! I typically want a Sammy tied on for those hard to reach ambush points. Nothing but crunchy river rock to walk on as you approach? Maybe schools of spooky shad or quillbacks at your feet that will cascade a spookathon upstream? If I try and get close, I might just spook the hole. Sammy's ability to cast 40-50 yards gives an river wade angler some reach out and touch ability. More important is this critical ability to outcast one's profile, noise, and shadow. It's cutting that chance of spooking big fish with long casts while they are unaware of your presence that will draw big fish. More awesome still is how easy the lure is to handle with some practice. 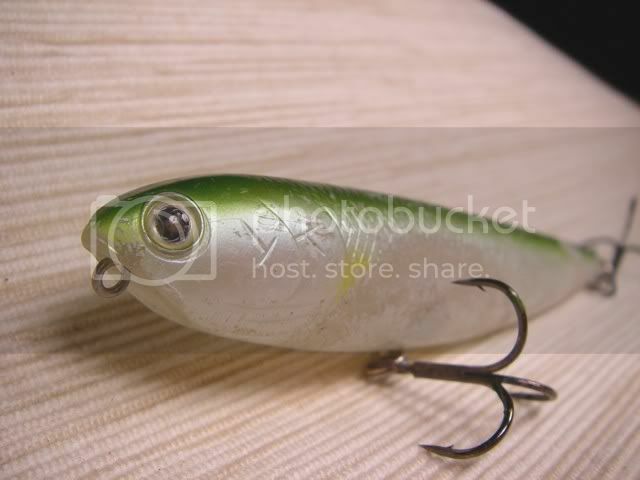 A Sammy 100 is a great lure to skip under tree limbs into the dark shade below. Feathering line on a spinning reels is a critical skill to get Sammy to land where you want him. Let line slip through your off hand as the lure flies to target using your fingers as a break. It is an awesome feeling when a cast skips under an overhanging tree branch and Sammy gets destroyed on impact by a gnarly brown bass! Aim for eddies, current breaks, root wads, lay downs, and grass lines. Generally, I work the bait quartering downstream or across stream. I find the bait doesn't spook fish like a buzzbait can on some days. Which makes it a great lure to run through a hole first. I recommend braided lines in the 15lbs to 20lbs test range for easier hookups due to the no stretch quality of the line. The toughness of braid allows me to fish the 15$ lure with absolute confidence. 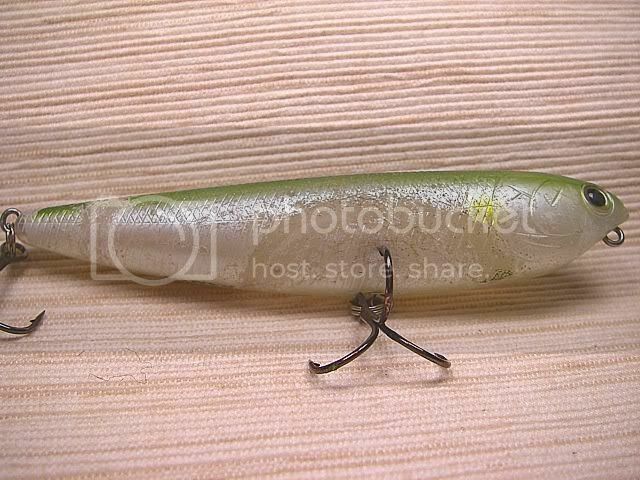 An angler can throw Sammy in and around cover knowing they can wade in after the lure gets hung up. Be prepared to take the fish airborne over logs and stumps as your sharp hooks will hang up. Keep your drag somewhat loose to account for the no stretch quality of the braided line. You will toss Sammies into trees, the braid lets you pull the tree limb down to retrieve your lure. Power Pro braid casts very similar to 8lbs test mono but is many times stronger. Watch your line on the spool for signs of looseness before each cast to avoid backlash. With braided lines, I have virtually no fear of losing a fish. 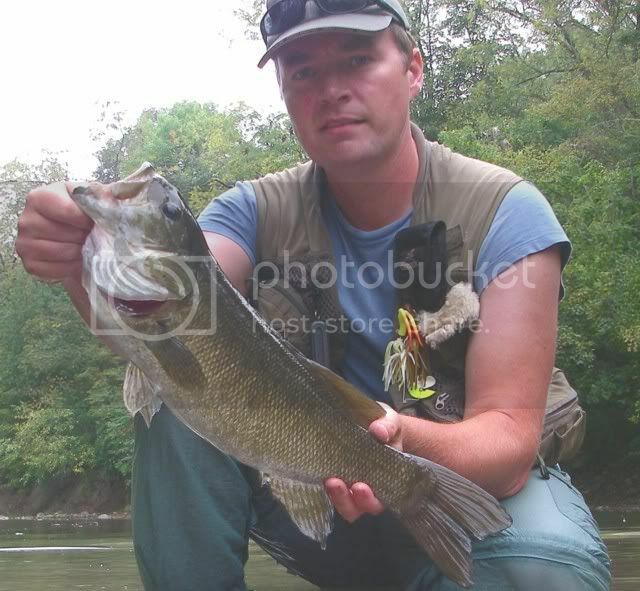 Smallmouth bass can strike your Sammy in a variety of exciting ways depending on mood or how well they see the zigzag. There's the 'Orca Strike', this is where your bait gets nosed fully into the air. The 'Tail Swat'- your fish was confused and maddened by Sammy's snakelike walk. 'Atom Bomb'- total annihilation! The 'Buffet Rush'- where several bass are smacking the lure often throwing all caution to the wind. One note here, if you do hook a smaller fish during a 'Buffet Rush' playing it longer than usual will often result in a double hook or even a larger fish taking the bait away! ' Streaking V'- you know what's next. 'Suddenly There'- no splash no visible strike, suddenly a bass is on your line. 'Slurp'. The noise only strike, which can be very loud and sudden. Remaining calm and not overreacting is always the order of the day. If your hooks are sharp, you will prevail. Working the Sammy fast, slow, or pausing all work at different times. The main thing is not to ever set the hook. Fish hook themselves on the sharp premium hooks and no stretch braid. When you feel the fish's pressure online, tighten up and keep the rod bent. Sometimes its hard to tell if the fish got the bait, reel the slack in slightly, then judge. If it is often hard for you to spot your lure in the water switch to a bright gaudy color such as pure white, chartreuse, yellow, lime green, flame orange, etc. These colors are much easier to see from a distance. This will help you judge whether the fish has the bait. Setting the hook in the normal, immediate way often at the sound of a huge blowup, most often results in the bass missing the bait. Do not react to the noise, react to the feel. Keep walking the dog calmly at your same pace or slow slightly. Fish usually will keep after it if they miss. Give a bass a second or two to turn back around. This is the vital for catching more bass on Sammy. Reacting at a splash before a bass has a chance to grab the bait will just pull it away from him. Be sure it has the bait, then apply pressure. If you get a total topwater miss, and the fish was large, consider taking a break for 5 minutes. Throwing back later can often foster very positive results. If you get a blowup and see evidence of multiple chasing bass, throw back immediately! 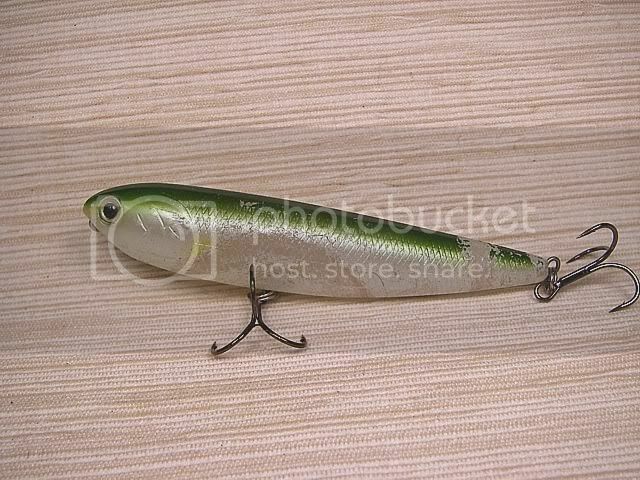 The bass are often frenzied with competition and throw caution to the wind, often biting at the lure right at your feet. One of the reasons I believe LC Sammy 100 is such a great stream lure is its ability to turn even neutral bass into aggressive ones playing their feeding instincts against each other. Sammy gets many strikes on first impacting the water. It is designed to dive down then burst upwards to the surface in a lively fashion. Try dropping it into the water to watch it pop back to the surface like a fleeing minnow desperate to escape ingestion. Bass hear the impact splash which sounds not unlike another fish smashing a baitfish on the surface. I have never seen another lure get so many impact strikes! Mr.Bass thinks the Sammy is fleeing, wounded food, he cannot allow another to eat such lively sizeable prey. Bass will fling themselves wildly at this bait. Small fish have stuck it, only to see it taken by larger fish and vice versa. Sometimes this wakes up a hole and you nab one after another until they notice their buddies are gone. Hooks get changed immediately when not needle sharp. You can test your hook's sharpness by balancing it on your fingernail with the point down, the point should dig in your nail. With ultra sharp premium hooks you won't lose many fish. When the hooks dull and you aren't vigilant, it's easy to blame the bass missing the bait. You will struggle keeping fish hooked. They can throw that big bait easy. You will go through a lot of premium trebles this way, in my opinion, it's worth it for all the fish you will land. This is much better than crying in your beer later about the Hog Smallies that brewed up and were lost seconds later. Finally, give the bait a try from June-November. 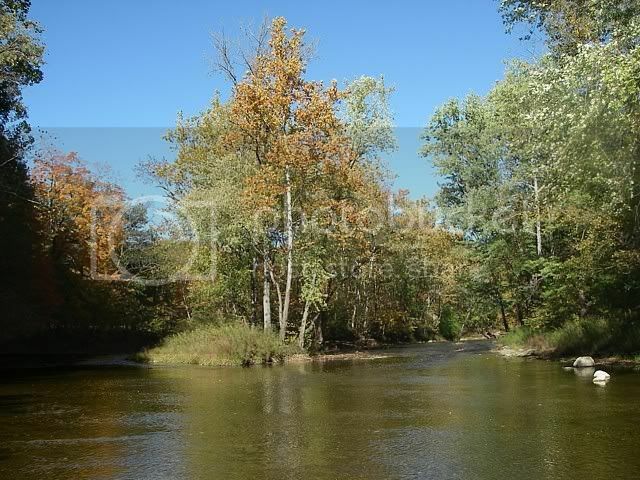 Please release all your smallmouth bass quickly to help keep Indiana's waters a joy to fish! A pair of hemostats allow for quick and unmangled release of these beautiful bronze-brown fish. Here's to seeing your first bronze zigzag behind your lure, all hail the "Fish that Walks"! Documenting my catch and release river fishing adventures. "Smallmouth in Your Soup" Blog originated as a place to store my fishing adventures and reports for posterity's sake. I am available for consultation on river smallmouth bass knowledge. Do Lucky Craft Lures Catch Smallies? All blog content is considered copyrighted material via a Creative Commons License and may not be reproduced without the author's consent. To put it simply, don't copy-paste an entire blog post elsewhere. Feel free to use this information for your own personal fishing experience or share it by word of mouth, but don't pass it off as your own elsewhere on the internet.